Hygiene, medical or filter fabric. Straight-edged carded web or lower weight cotton fiber web. Temperature: up to 260℃, suitable for different melting point fiber. Each chamber length is 2M with individual temperature and air volume control. 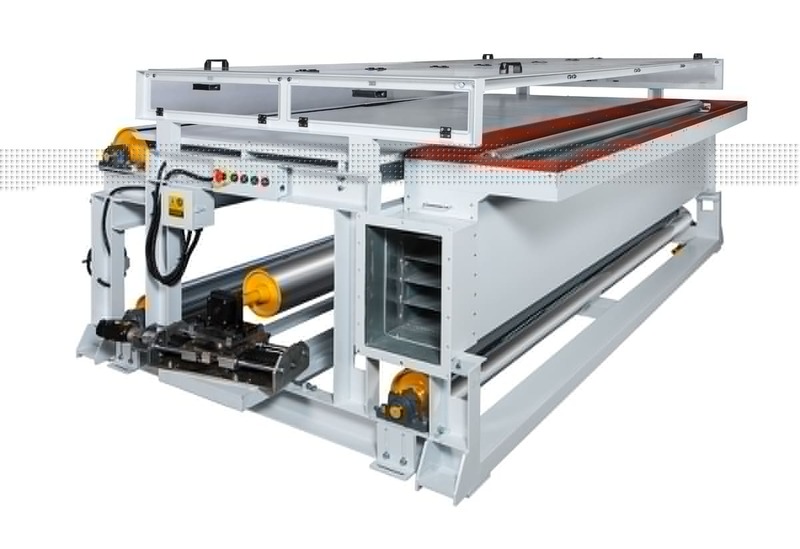 The air flow circulation in each chamber is separated from other chambers and will not contact with the thermal insulation board, which provides better insulation effect. Air flow direction adjustable design can make the temperature and air speed even to ensure the heat melting reaction is consistent and the hand feel is soft. 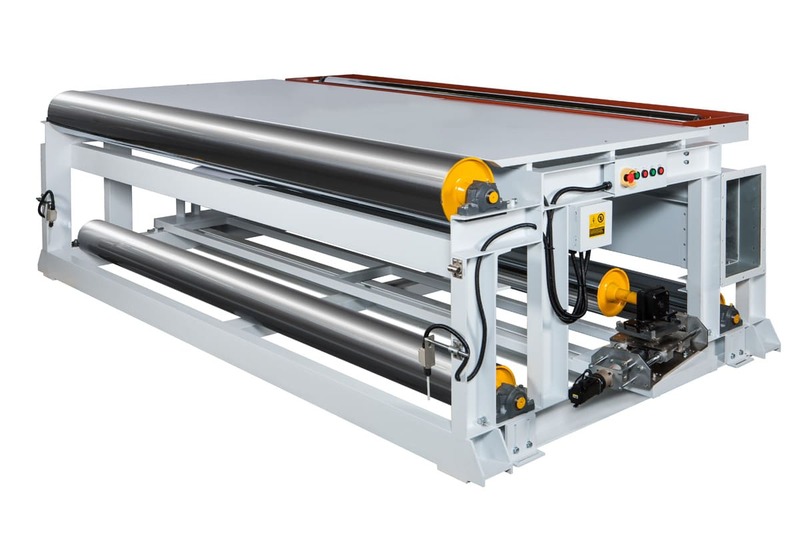 Conveyor belt edge positioning device controlled by proportional servo motor can cooperate with machine speed to effectively adjust the conveyor to keep the conveyor belt running straightly to decrease the edge wastage. Entrance air suction design is to decrease air volume flowing from the surrounding air to the drying oven and lower the exhaust volume to save energy as well as stabilize the entrance air flow and ensure the fiber cotton layer is flatly entering the drying oven. Punching plates inside the oven duct is removable design for easy clean and maintenance.